Based on Taiwanese supply chain sources, analyst Brian Blair of Rosenblatt Securities believes Apple's iWatch will feature a round face, similar to a traditional watch (via Business Insider). The iWatch design will resemble Motorola's Moto 360 smart watch, with the Apple version shipping with a slimmer profile. Apple may begin production of the iWatch in late July, with the goal of producing up to 21 million units in the second half of 2014, claims Blair in a research note to investors. AppleInsider also highlights Blair's claim that Apple may partner with Quanta Computer to produce the smart watch device, instead of Foxconn which may be busy manufacturing the iPhone 6. Quanta's involvement in iWatch production has been rumored since last August. Blair's sources also believe Apple may be producing multiple models of the iWatch, including one that features a sapphire display cover. This information echoes an earlier report from KGI Securities analyst Ming-Chi Kuo, who claimed the iWatch may ship at various price points and in a variety of materials that allow the smart watch to compete with both low- and high-end watches. Apple's iWatch is currently expected to arrive near the end of 2014, with a fashionable design and biometrics that provide basic health monitoring features. It likely will sync with an iOS device sharing data with iOS apps, including the new Healthbook app that is expected to debut in iOS 8. Though an iWatch announcement is not expected for WWDC, Apple will likely unveil some of the early details on iOS 8 at the developer conference next week. Public Service Announcement: The mockup in the article is a mockup by someone other than Apple. It is not Apple's design. That is not the iWatch. Please don't talk about how un-Apple the mockup is. It's just a concept. Please. Pretty Please. 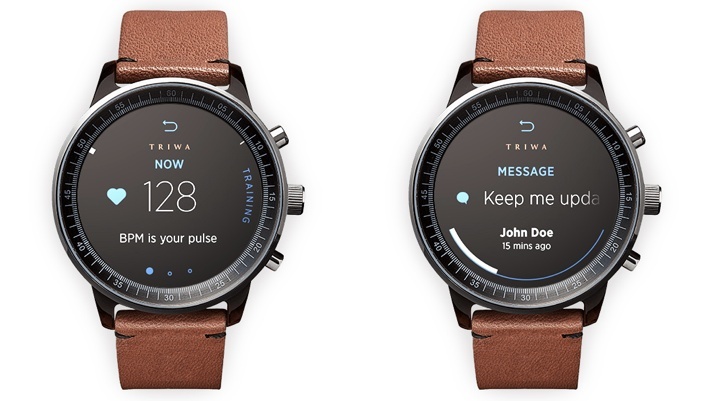 One thing that's a pain with most smartwatches that have lots of features, is to swipe between all the different modes and notifications and apps. I'd like to see someone make the bezel a rotatable control, so you can more quickly zip between section choices. Just turn it to flip between cards. Sometimes a physical knob just makes more sense than being all-touch, and/or using tiny buttons. The only fruit eaten by aardvarks is the aardvark cucumber. iHeart alert: please consult a cardiologist at your earliest convenience. Chinese and Indian railways account for 70% of global passenger mileage. iHeart alert: this organ is no longer responding and will shut down in 15 seconds. No ****? Really? Come on, that seems incredibly obvious. Why does MR feel it necessary to show this mockup with every iWatch rumor? This mock up isn't based on any leaked Apple design or schematic. So what's the relevance? Thank, God! Please mimic this design to a T while we're at it. I don't think Apple will make it look like a "traditional" watch, for the same reason that Apple never made the iPhone look like a traditional phone. Unless Apple lost their imagination (which they haven't), I don't think the "iWatch" will look like an old analog watch. I bet it's something much cooler, and a modern take on the time piece band you wear on your wrist.